Jason is a Partner in the Tampa office and member the Litigation Practice Group. Jason practices in the area of complex commercial litigation. He has litigated several patent, copyright and trademark infringement claims in federal courts throughout the country. In addition, he also represents clients in various industries with regard to contract, fraud, trade secret and other business disputes. 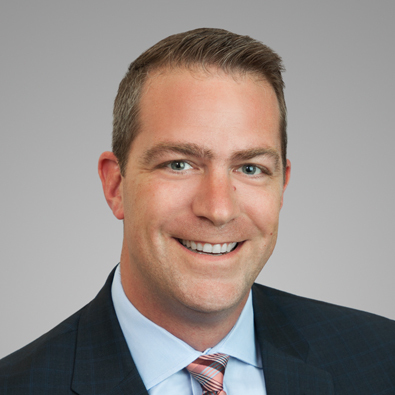 Prior to joining Freeborn, Jason worked at Phelps Dunbar LLP. He also clerked for a federal judge and served in the U.S. Navy as a nuclear propulsion plant operator. Representation of a large plumbing, heating, cooling and electrical company in a copyright infringement dispute; obtained a successful jury verdict that defendants willfully infringed the client’s copyright in a proprietary training manual and defeating intervenor’s declaratory judgment claims for invalidity and ownership. Representation of an insurance intermediary in a federal court bench trial; obtained a complete defense verdict defeating claims alleging violations of state and federal statutes and unlawful interference with a business relationship as a result of the placement of force-placed hazard insurance on mortgaged properties being serviced by the client’s customer. Representation of a sun tan lotion manufacturer in a trademark infringement dispute with one if its competitors; obtained a successful jury verdict that found the defendant liable for its profits gained by infringing the client's common law trademark rights. Representation of a publicly traded silicone manufacturer; obtained a complete jury verdict in a complex U.C.C. matter and obtained a dismissal of all counterclaims seeking seven figure damages. Representation of a closely held company that creates and licenses photographic images for use in advertising; obtained a favorable settlement for a copyright holder against several defendants that were using copyrighted photographic images without a license. Representation of a manufacturer of silicone gel liners for prosthetics; worked on a team that obtained an eight figure judgment in a patent infringement lawsuit against a competitor that made products that infringe on that patented technology (silicone-based gel products). Representation of a large manufacturer regarding an ingress/egress easement it owned at one of its distribution centers; obtained a "mid-trial" favorable settlement after jury selection and after several rulings by the court on matters of law.